The world of Pokémon Sun and Pokémon Moon is filled with many colorful people in addition to the fascinating Pokémon. Meet some of the folks you'll encounter as you travel through the Alola region. You will choose to be a hero or heroine in Pokémon Sun and Pokémon Moon, and you can name yourself whatever you'd like. The story begins right after your character has moved to the Alola region. No sooner have you arrived than your adventures begin to unfold, and you'll meet many people and Pokémon as you grow and learn. You can choose your gender and how you look! Logical but also passionate, Litten always remains coolheaded and doesn't show its emotions on the surface. Popplio's swimming speed is known to exceed 25 mph. It's better at moving in the water than on land. Still, when it's on land, it takes advantage of the elasticity of its balloons to perform acrobatic stunts and jumps. The Rotom Pokédex Is Your Ally on Your Journey! The Pokédex is a convenient tool that records information about the Pokémon you see and catch during your adventure. In Pokémon Sun and Pokémon Moon, your character receives a special Pokédex from Professor Kukui to support you in your travels. It's known as the Rotom Pokédex, and it's inhabited by Rotom, a Pokémon with the power to reside in various electronic appliances. It does much more than record Pokémon info—it sparkles with its own personality. 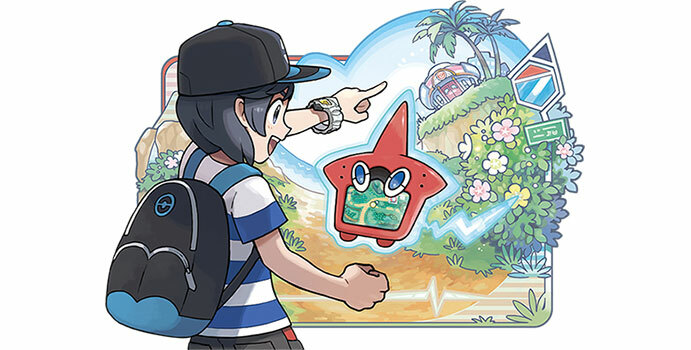 The Rotom Pokédex shows your current location and your next destination, and it also gives you advice on where to go next, based on the conversations you have with others! It's likely to be of great help to you in many parts of your adventure. Major updates are planned for Pokèmon Bank to work with Pokèmon Sun and Pokèmon Moon. Once Pokèmon Bank has been updated, you'll be able to use it to transfer Pokèmon you've caught in the Nintendo 3DS Virtual Console versions of Pokèmon Red, Pokèmon Blue, and Pokèmon Yellow into your copy of Pokèmon Sun or Pokèmon Moon. 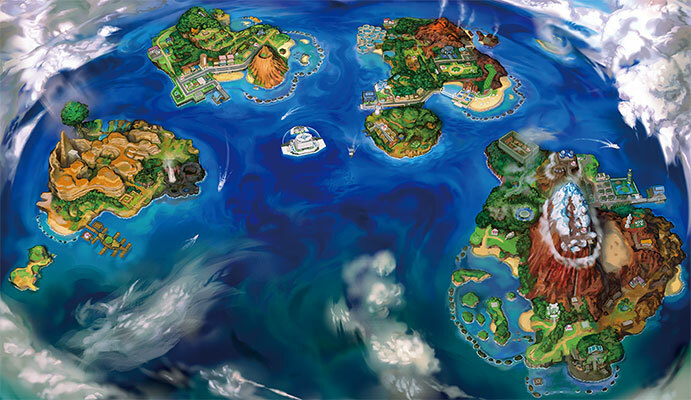 Pokèmon from Pokèmon Omega Ruby, Pokèmon Alpha Sapphire, Pokèmon X, and Pokèmon Y can also be brought into Pokèmon Sun and Pokèmon Moon in the same way. You will be able to use your existing Pokèmon Bank account to transfer Pokèmon from Pokèmon Red, Pokèmon Blue, and Pokèmon Yellow to Pokèmon Sun and Pokèmon Moon. Due to certain limitations, it is recommended that you install Pokèmon Red, Pokèmon Blue, and Pokèmon Yellow on the same Nintendo 3DS system as Pokèmon Bank.